What is considered “low back pain”? Low back pain is any pain sharp or dull from the middle of the back to the tail bone. Pain can be right, left, center or all the way across from right to left. Pain can be caused by several structures: muscle, joint, disc or nerve (or internal organs but that will not be discussed here). The most common cause of chronic low back pain that fluctuates in severity with changes in position or movement is abnormal muscle tightness. Even bending over to pick up a pencil can bring on the pain and make it worse! The most common causes are 1) abnormal muscle tightness (caused from trauma, bad posture, or compensation), 2) weak core muscles, and 3) poor body mechanics with bending and lifting. Back pain that does not change in severity and does not change with movement or position is more likely caused by the disc between the bones of the spine (requires a different type of treatment). Pain that starts in the back and travels all the way down the leg is known as sciatic nerve pain. Pain that is isolated to a very specific point on either the right or left is likely sacroiliac joint. Back pain can make it difficult to do simple things like retrieving objects off the floor, lifting kids, carrying weight to perform daily chores and work activities. Abnormal muscle tightness along the spine can create tension and pressure on surrounding structures that then cause pain. As tightness and pressure increases, so does the pain. Pain may come from disc pressure which feels like constant, unrelenting back pain in all positions. Pain may be from nerve irritation at the sciatic nerve which feels like pain extending all the way down the leg. If simple bending and lifting makes it worse. If you notice a sudden loss in strength or function of the legs. *If you experience any of these symptoms, call us immediately! If left untreated, low back pain can lead to an increase in pain and a decrease in performing daily activities. Low back pain left untreated can lead to greater severity of pain and potentially long term injury with difficulty dressing, performing child care duties, chores and disability at work to perform job duties (standing, lifting, carrying). 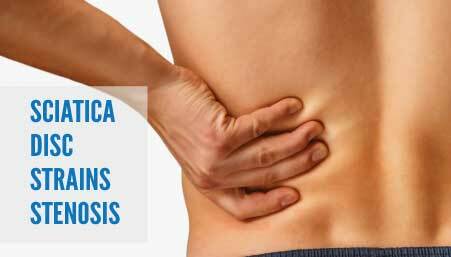 Try This Self-Test to See If You Have abnormal tightness contributing to low back pain. 1) Standing up from a seated position; pain with this action often indicates a tight hip flexor muscle. 2) Attempt to bend and touch the floor. Go as far as you can without forcing into pain. Estimate how far off the ground you can reach and if you have pain. If tight or painful you likely have back muscle tightness. 3) Lift a 5-10 lb weight from the floor, if you have pain or cannot perform the test there is likely compensation patterns in your movement due to tight or weak muscles. My revolutionary “Low Back Pain” program helps to get rid of pain, tightness and compensation and it often works in as little as 1-3 sessions. Depending on the complexity of your condition, it may take up to 6 sessions to fix. I discovered this solution while working with over 5,000 patients who suffered from low back pain. As I treated their back pain, their posture seemed to improve and they looked taller! With an in-depth knowledge of the spinal muscles it helped me realize that the deep hip flexor muscle that attaches to the spine from the front side of the body is often overlooked by both medical personnel and the general population. When this muscle is too tight it will cause back pain and influence the body’s posture. I found that if I normalize these muscles (and make them strong, flexible and healthy) the back pain and posture improved very quickly. This discovery has led to a dramatic increase in how fast my patients got better. They could bend and lift again without pain. They were able to resume child care, work, and daily activities as they had before and live their life again! Not all traditional back pain treatments lead to a better posture. And believe it or not, some traditional treatments may actually make your pain worse! Not all practitioners treat back pain the same. 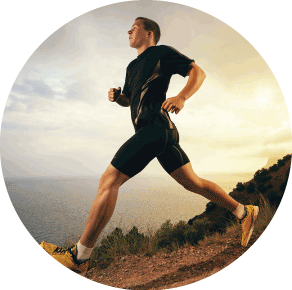 And most traditional treatments do not target the hip flexor muscles like I do. My method is highly unique. I focus on balancing all the muscles around the spine (and the entire body) to get quick maximum results. My 7 years of experience and research has led to the discovery of this revolutionary new way to stop low back pain and forward posture in almost anyone of any age, body type, or condition. My name is Stephanie Nolting, DPT and I am a licensed physical therapist who specializes in low back pain and pelvic related disorders. I also have a special interest in helping those with poor posture become more pain-free, healthy and active. Most feel better immediately. You can expect the pain to improve after the very first session. Because there are so many people who, I believe, need access to this vital information, I have created a special program to make it extremely affordable for everyone. You don’t need insurance or pay thousands of dollars. The complexity of your condition will determine how many sessions you’ll need. Most everyone sees results the very first session and they love it. Even if you tried other treatments before, this is guaranteed to work or your money-back. 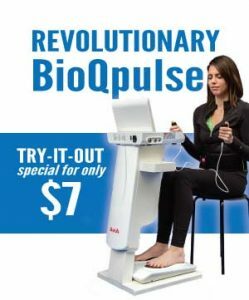 So, if you tried drugs, manipulation, chiropractor, injections, acupuncture, or even surgery without success, you owe it to yourself to try this. It’s only for those serious about getting rid of low back pain. Call me at 719-565-6678 to get started or go towww.PT-connections.com. 3) A list of movements and things you can do at home to start feeling better right away. Yes. All procedures are FDA cleared and proven safe. I am a licensed physical therapist with 6 years of practice in the state of Colorado. (Previously in New Mexico). My license # is 11455.